I made macaroni and cheese the other night. Not the kind out of a blue box with orange powder. No, this macaroni was covered with four kinds of ooey, gooey cheese, herbs and topped with bread crumbs. It had bright green peas nestled amongst plump noodles. It was a vision of comfort food. And my children wouldn’t eat a bite. Where did I go so horribly wrong? How did I end up with picky eaters? I did everything “they” told me to do. I introduced a variety of flavors and textures. My daughter’s first solid meal was brown rice, baked salmon and avocado. My son ate steamed vegetables, couscous and roasted chicken. And then, somehow, their diet narrowed. Dinnertimes became battle fields with each opposing side refusing to budge. Every now and then, I talk to other mothers who are waging this war. We look at each other with bleary, battle worn eyes while exchanging advice from experts espousing everything from hiding the “good” food to creating edible landscapes to tempt their palates. We cringe at the thought of sending them to bed hungry. But more and more, it seems that might be the only way left. And for the record? I draw the line at radish roses and cheese rabbits. But I will cut their sandwiches into hearts. 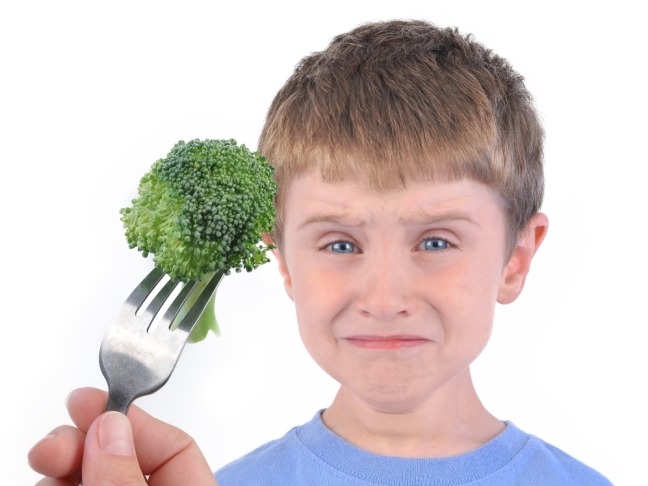 How do you get your children to eat the foods that are good for them?